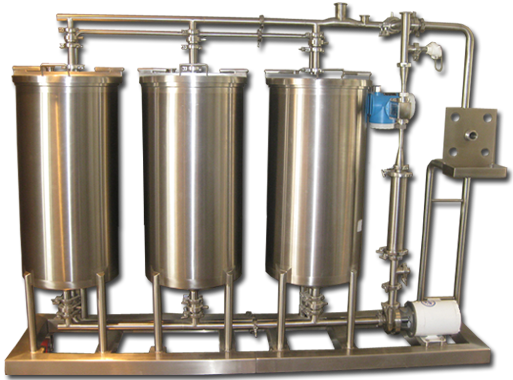 INOX-TECH is a leader in the design, fabrication and installation of Bulk Liquid Ingredient Systems. Its complete-system approach provides customers with greater efficiencies and overall costs savings in both the short and the long term. All systems are designed, fabricated, automated and installed by our experienced in-house personnel. Standardized components are used throughout. Common Control System leads to greater operational efficiencies. Reduced number of parts to be kept in inventory. Simplified supervision & integration during installation leads to a reduction in scheduling inefficiencies. Combined maintenance manuals & operator training. Long-term after-sales benefits for troubleshooting, spare parts supply, repair & upgrading of systems. INOX-TECH Systems are built to strict standards including ASME and follow industry sanitation regulations.